This entry was posted on March 20, 2011 at 7:44 am and is filed under Found Heart Photos. You can follow any responses to this entry through the RSS 2.0 feed. You can leave a response, or trackback from your own site. 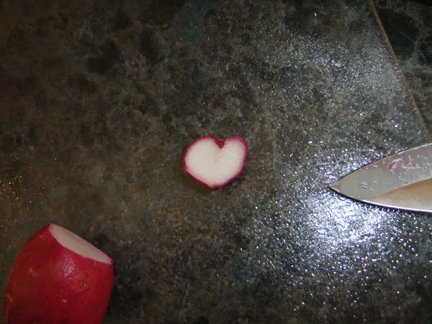 Jeez, I’ve never found a radish heart before! Tomatoes, yes … cucumbers, yes, even bananas and strawberries! But never before a radish! It’s awesome!